Several buses from CDG Airport to Paris city center are available to help avoid stairs and luggage in the Paris Metro & RER trains. Le Bus Direct (formerly Air France coach line) makes trips from CDG Airport Terminals 1, 2 or 3 to central Paris locations of Arc de Triomphe (Charles de Gaulle Etoile), Montparnasse and Gare de Lyon. Cost is upwards of . See ParisByTrain Air France Shuttle article for more information. 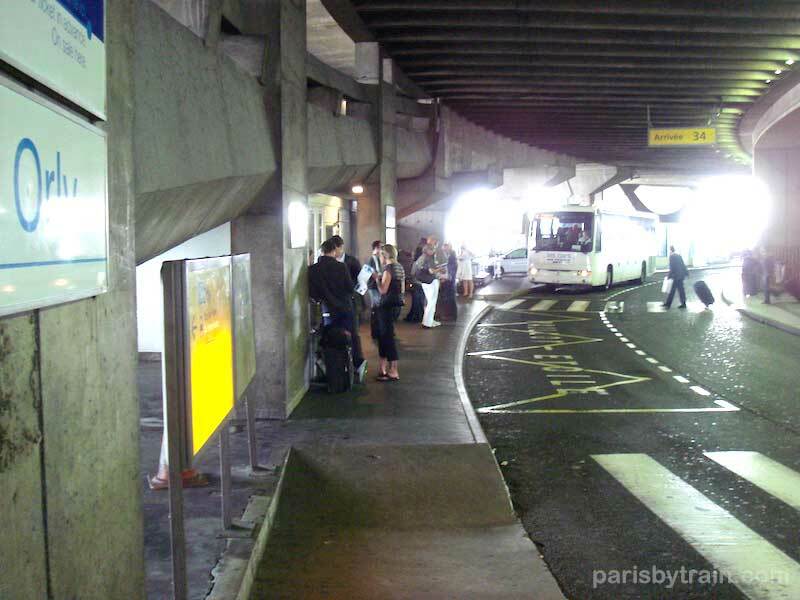 Bus 351 (Paris city bus) stops to pick-up/drop off passengers at CDG Terminal 1, in between CDG Terminal 2A & Terminal 2C, in between Terminal 2B-2D, the Terminal 2 TGV train station, and Roissypole (RER B train station). Cost for Bus 351 from CDG to Paris is three “Ticket t+” Metro tickets at /each or total. Bus 351 route map CDG to east Paris. Note: you can purchase Ticket t+ ahead of time for each from Metro ticket vending machines or ticket windows and save a little bit of money. Ticket t+ purchased directly from bus drivers will cost each. The Roissybus bus stops at CDG Terminal 1 Door 32 for passenger pick up. 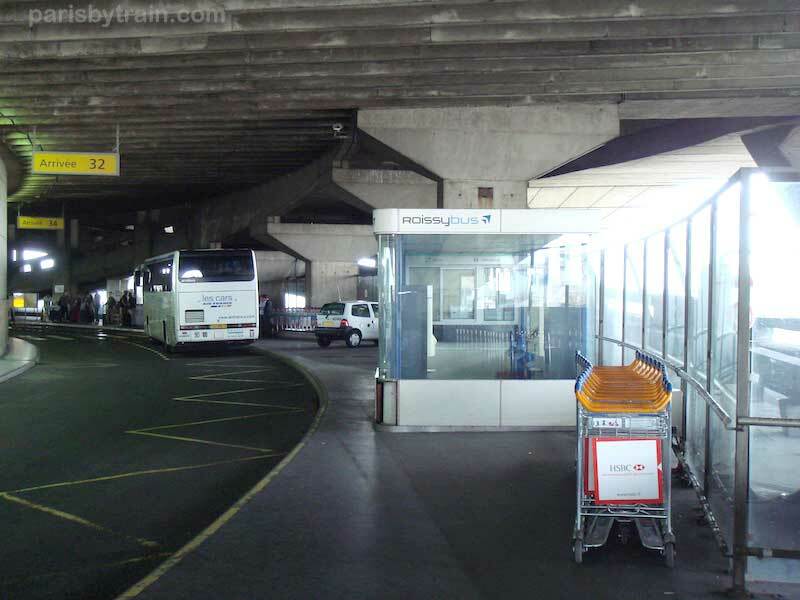 Tickets for the Roissybus Paris Airport Bus can be purchased within the glass enclosed bus stop via the vending machine or from the ticket window (which may or may not be manned at the time of your arrival). Bus tickets can also be purchased from the driver onboard. Tickets are each (). 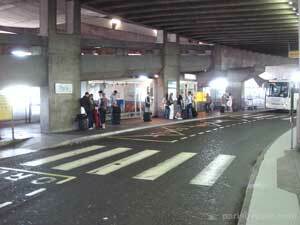 No child fares are available for this method of CDG Airport to Paris transportation. Here is a line map for the Roissybus at CDG. 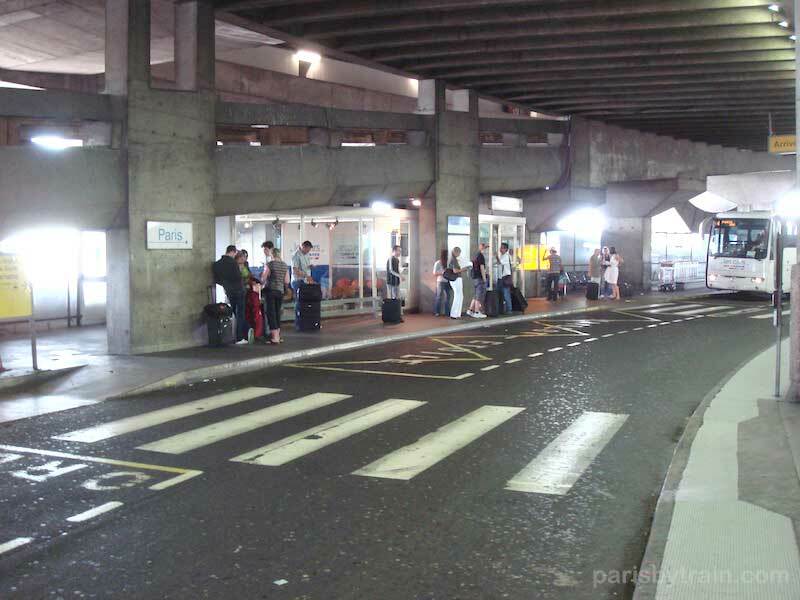 On the right you can see which doors (“porte”) this airport bus stops at to pickup passengers at Terminal 1 (Door 32), Terminal 2B & D2 at Door 11, Terminal 2A & 2C at Door 9 and Terminal 2E & 2F all along on the arrivals level road (flag the driver). 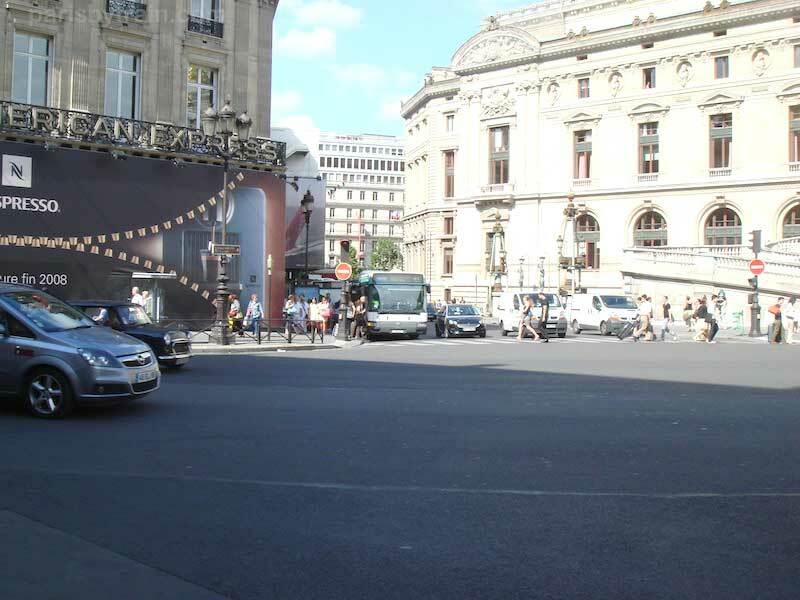 The Roissybus travels from CDG Airport directly to Paris Opéra in the 8th district (arrondissement) close to Galeries Lafayette and Boulevard Haussmann (see photo). It makes no pickups nor dropoffs between CDG and Paris. First bus departs CDG at 6am. Last Roissy bus departs CDG at 11pm. First Roissybus depature from Opera in direction of Airport CDG leaves at 5:45am. Last bus from Opéra to CDG leaves at 11pm. 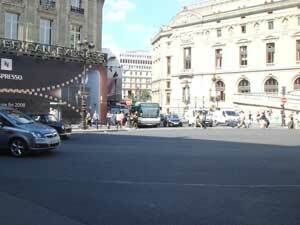 Passes such as the Pass Navigo Découverte, Pass Navigo, and Paris Visite (5 or 6 zone) are accepted for the Roissybus. Ticket Mobilis day passes are not accepted. Le Bus Direct is another bus system using coach type of buses. Luggage on these buses can be stowed underneath the passenger seating area, as per normal with coach line buses. Tickets are more expensive for Le Bus Direct, upwards of per person depending on which line you are taking from CDG, either Line 2 or Line 4. Child fares are half the adult price. Tickets should be purchased from the ticket offices out on the terminal roads at the terminal doors specified below. Groups of 4 or more can receive a 15% discount on their tickets. Le Bus Direct coach bus Line 2 stops at Porte Maillot at Paris’ North West corner and continues on to Arc de Triomphe/Charles de Gaulle Etoile. Le Bus Direct Line 4 stops at Gare de Lyon and continues on to Gare Montparnasse. These coach buses stop for passenger pickup at Terminal 1 at Door 34 (Porte 34), at Terminal 2B Door 6, 2D Door 6, and 2E Door 3 and 2F Door 3.